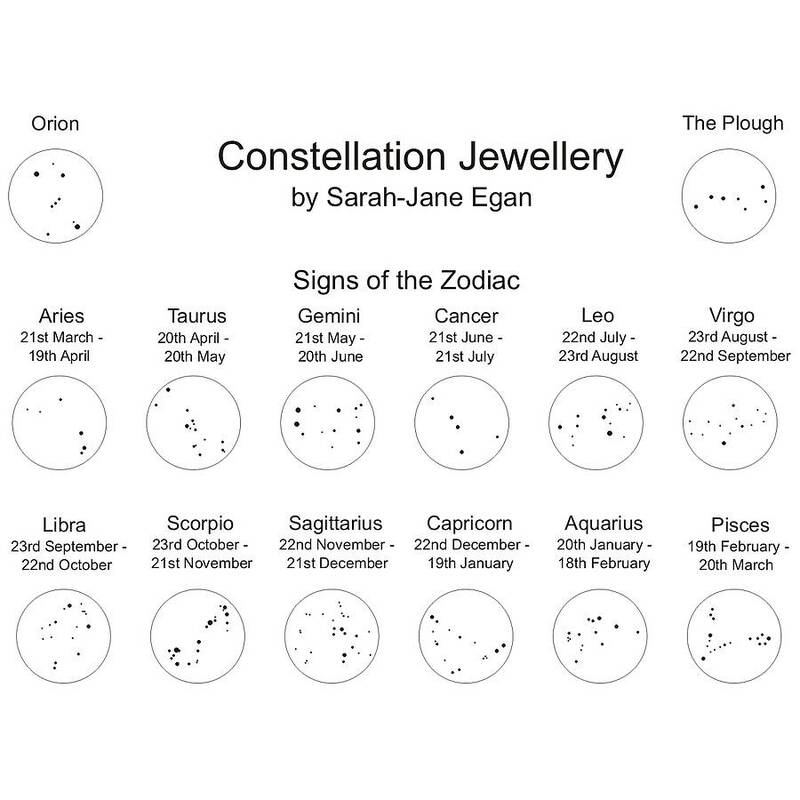 Have you got a constellation that means something special to you or to someone special? Or just really like astronomy or astrology. 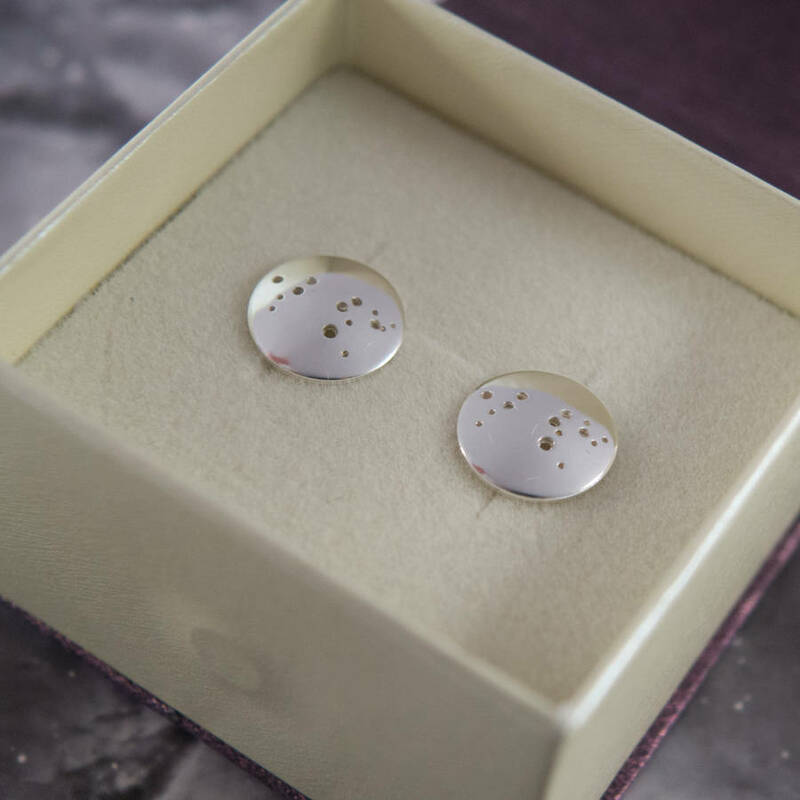 These cufflinks will be hand made from a sterling silver circles of 1.6cm diameter with holes drilled to represent the stars and finally domed to give a nice 3D effect. 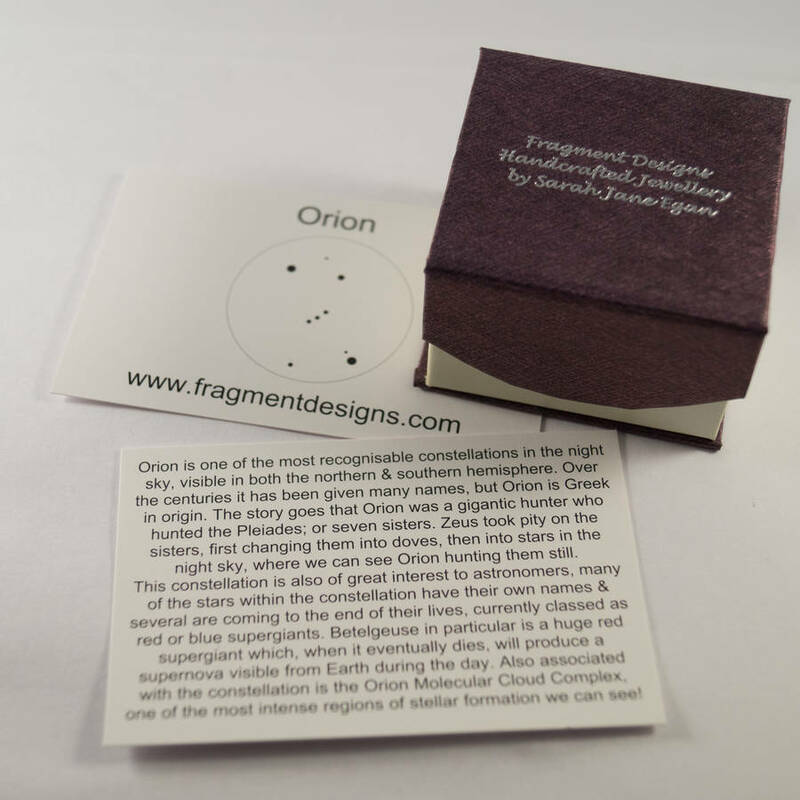 All constellation pieces are supplied with an information card outlining the mythology, history and science of the constellation. 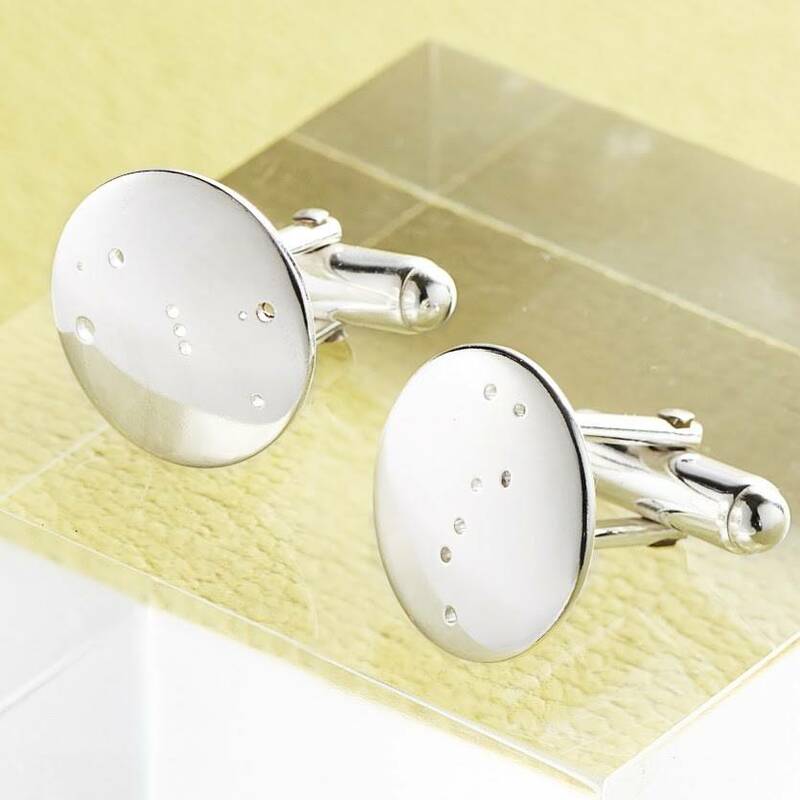 Cufflinks can be made to show any constellation, in either a matching pair or with a different constellation in each, perhaps representing star crossed lovers. All items are dispatched in individual boxes; as pictured, with white dust covers. And don’t forget that if buying for a present and wrapping isn’t your thing, or the package is going straight to the lucky person, please select free gift wrapping at the checkout. Sterling silver constellation pendants, earrings and keyrings are also available either seperately or as part of a set. 100% Sterling Silver, the discs are made from recycled sterling silver or eco silver, the cufflinks attachments I can not source as guaranteed ecosilver. This product is dispatched to you by Fragment Designs.